The following tutorial to unlock Android in Skytex Pocket II has been found and proved to work by user Mibzar Urenda on a sister blog of ours, in another language. In his work he thoroughly researched through trial and error until he finally got a method that works ok.
First, a word of caution: In the Skytex Pocket II tablet line, the Android hard reset method is achieved by installing a new firmware, which means that the tablet Skytex Pocket II will be literally reverted to”as new” status, with all the original factory settings. Obviously, this will also erase any pattern password that you would have programmed in your Skytex Pocket II, thus effectively “unlocking Android” on your tablet. 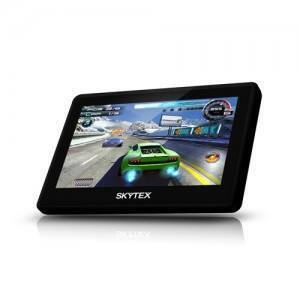 You will also need to download a new firmware and other tools , which you can get from Skytex website. I share my experience after many hours and much time invested, as too many forums searching. First of all the computer on which I worked was one with Windows XP SP3 in English (maybe it is coincidence that it worked only in the English version). After connecting the USB cable, immediately pushed around 5 ~ 10 times the power button, while pressing the Volume (-) until I threw on my computer popped out a windows asking if I wanted to install the driver. After that it began to load the system and everything was perfect to restore the Skytex Pocket II to the original factory settings, all these steps are included in the official guide. The only thing different was to use the windows in English. I explained it a little better on how to enter the bootstrap, mlike the steps for the Volume key (- ) and the power, do not expect to found a menu or something in the Skytex Pocket II simply to ask to install the driver on the PC.